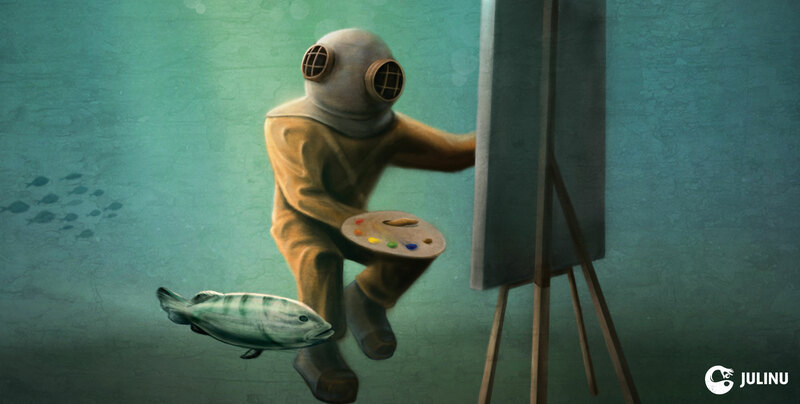 Being immersed in painting can be a thoroughly serene activity – akin to the (rather poetic) psychoanalytic notion of the “oceanic feeling”. However the original intent of this digital illustration had less romantic origins. It was created as part of a campaign fighting against the prudish, art censorship laws that were still in place in Malta a few years ago. 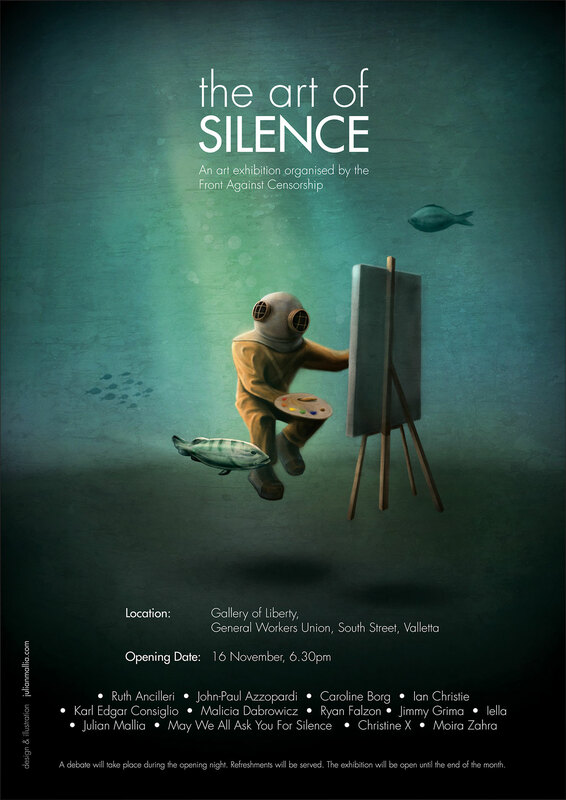 I responded to the brief by interpreting the title literally: by depicting an anonymous artist – whose voice is drowned – working silently underwater next to a prehistoric fish.